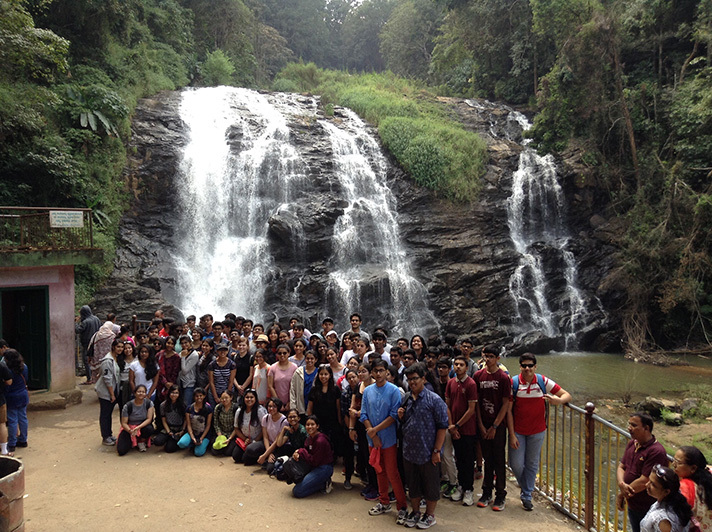 On 13 November 2017, students of grade 12 were taken on a trip to Coorg. It provided the students a much deserved break from the stress of their daily routine. The trek through coffee plantations and the view of the ethereal Abbi falls allowed the students to pause and reconnect with nature. The bonfire and the team building activities were thoroughly enjoyed by them. Students summed up the experience as 'phenomenal'.